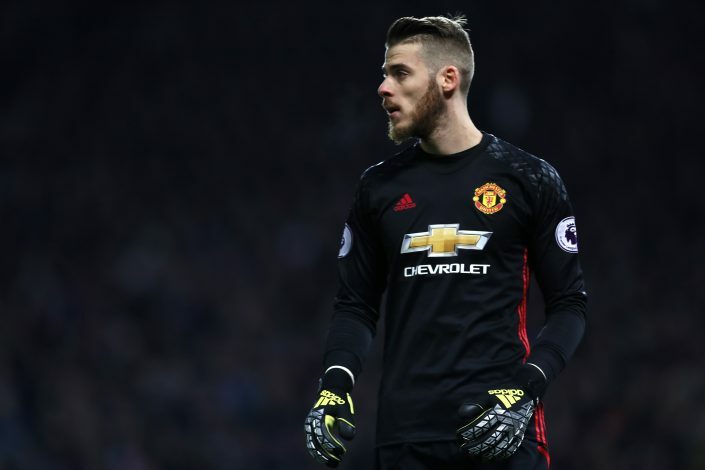 David de Gea has declared himself to be “really happy” at Manchester United, as the speculation surrounding his long-term future lingers on. The Spanish international was all set for a move to Real Madrid in the summer of 2015. Thankfully for United fans, a mix-up between the offices meant the deal couldn’t be finalised before the deadline. Even though Real have still remained interested, De Gea has not let his focus waver. He has been United’s most consistent player for the past 3 years. He has also won their Player of the Year award 3 times in this duration. Speaking to MUTV, De Gea asserted that he was happy at Old Trafford. “I feel really well on the pitch. I’m really happy to play for United and Spain and I’m feeling very strong on the pitch. I need to keep this level until the finish of the season,” he said. He also commented on the Red Devil’s current 17-game unbeaten run, by stating: “It’s a very good run but we need to keep the same level, focus and concentration going into the games. De Gea further talked about the quality in the squad, and their style of play. Manchester United will next face Hull City in their EFL Cup semi-final, second leg. The Red Devils won the first leg 2-0, but the former Atletico Madrid man made it clear that they would go into the fixture without being complacent. “It’s a special game as, if you win, you’re at Wembley and in another final,” said the Spaniard. De Gea has kept 7 clean sheets in 22 appearances so far this season.